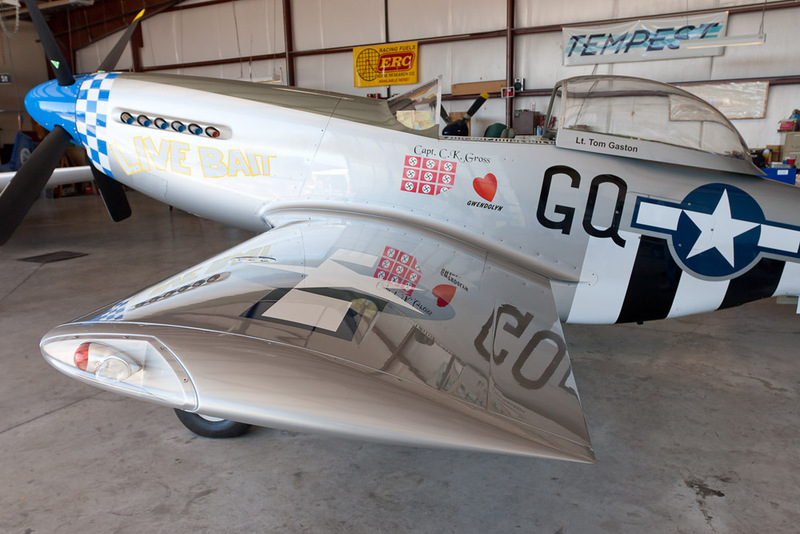 Yes Folks….Its time to start thinking again about making plans to attend the 2011 Reno Air Races. We had such a great time last year that the excitement is already starting to build. We have sent off our “Media Request” and plan on spending almost the entire week hanging out with the Race fans and our old friends. In fact..I started thinking this evening about what I’d like to cover this next time around. 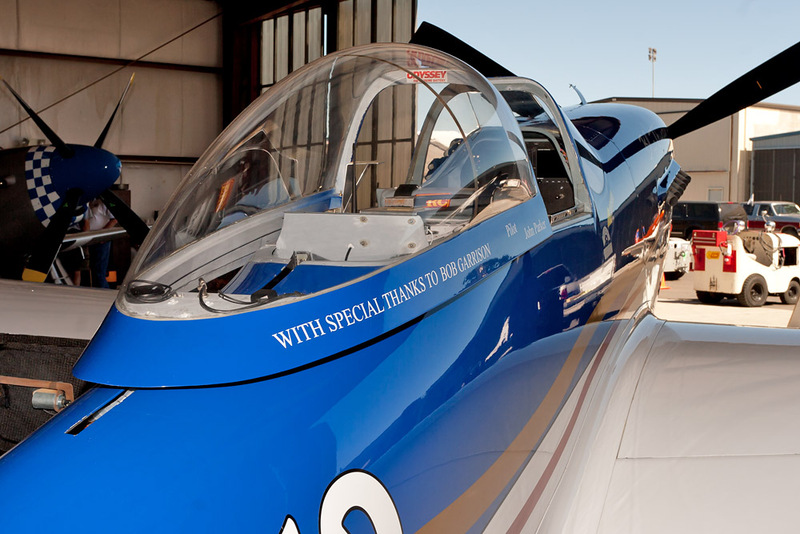 One of the things I enjoyed doing during the 2010 races was to sneak off from the pits and visit teams back in the hangar area. I stumbled into the row of hangars where the Thunder Mustangs live!! Now…we saw them fly but visiting with the teams up close and getting the pictures was a lot of fun. Maybe these teams don’t get the respect that the bigger(well-funded) teams get but I surely enjoyed spending time with them. 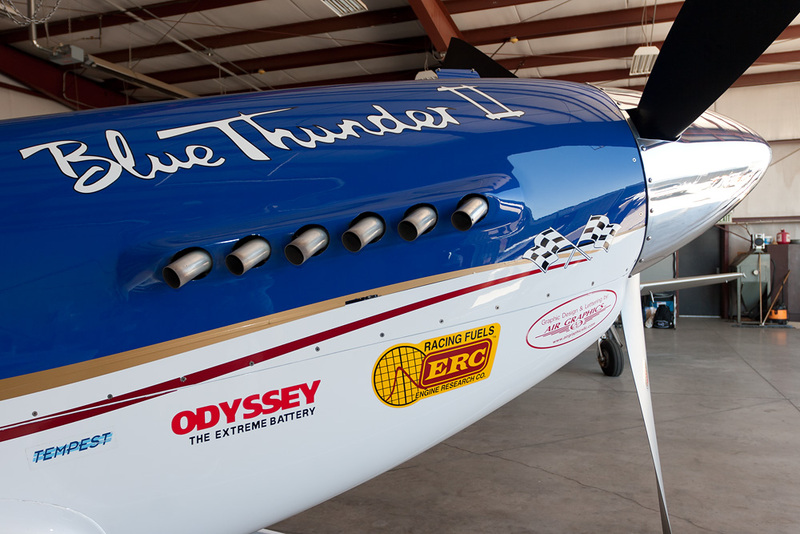 A little about the aircraft know as the Thunder Mustang..
September 17th, 2010, Reno, NV. – The Thunder Builders Group, LLC is very excited to announce that we have reached an agreement with Dean Holt Construction L.L.C. 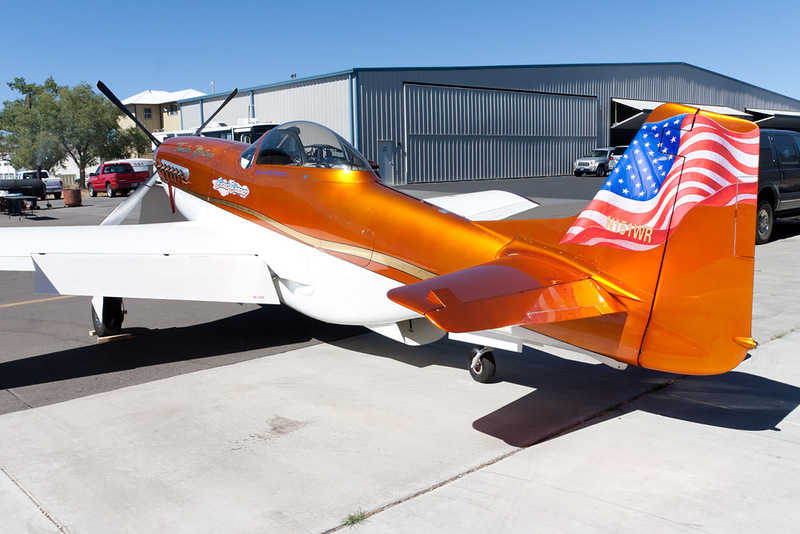 of Mount Vernon, WA to buy the Thunder Mustang molds and intellectual property. 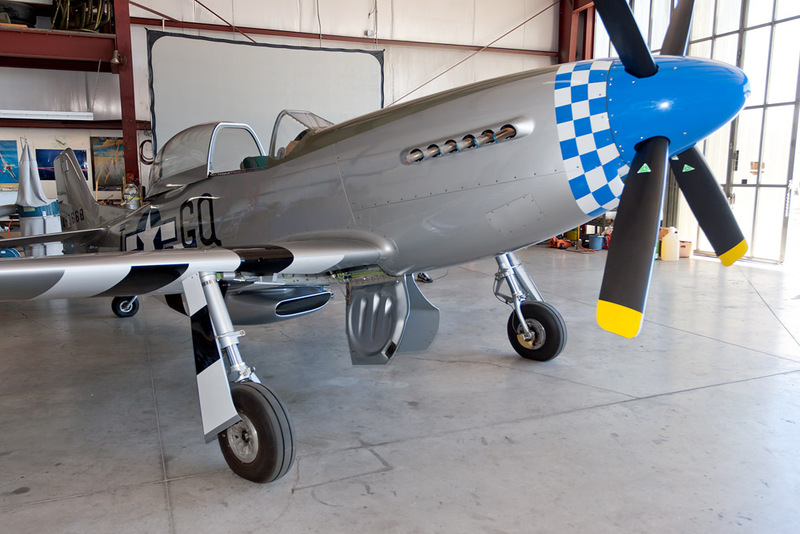 Production of this incredible, high performance P51 replica kit will begin shortly. The Thunder Builders Group was formed with the primary goal of assuring our members the delivery of all the parts necessary to complete their kits after Papa51 Ltd. ran into financial difficulties in 1999. 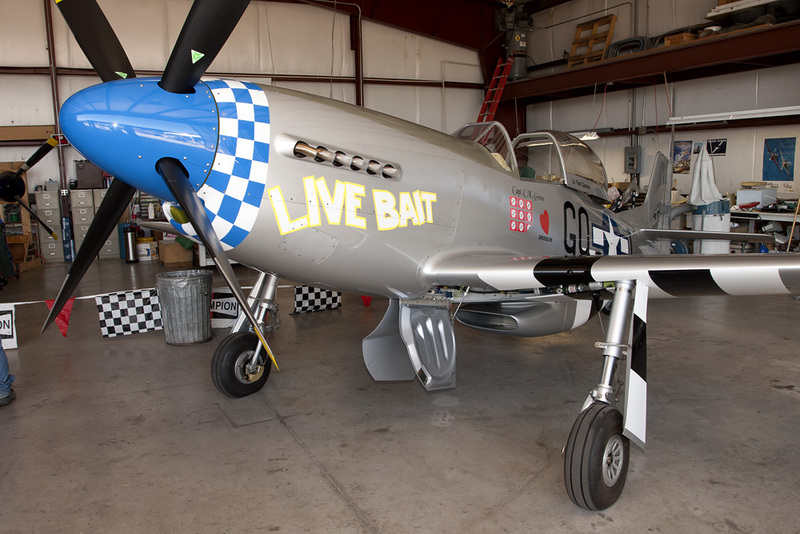 Once we successfully accomplished this goal, our focus was then directed to preserving the assets required to someday see this authentic P-51D replica go back into production. This day is now here. 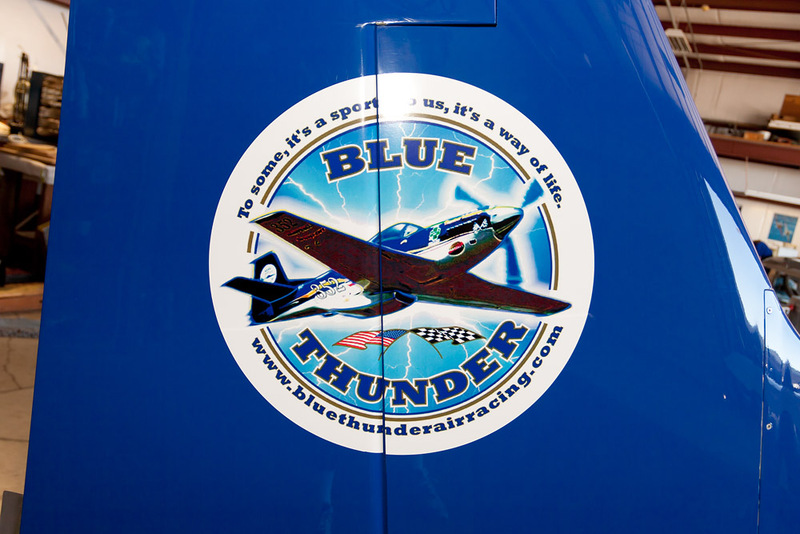 Additionally, much experience has been gained by the builders of the 17 flying Thunder Mustangs. This operating experience will significantly reduce the time required to restart operations and deliver a quality kit. The Thunder Builders Group will continue to work with Dean to help ensure his success. 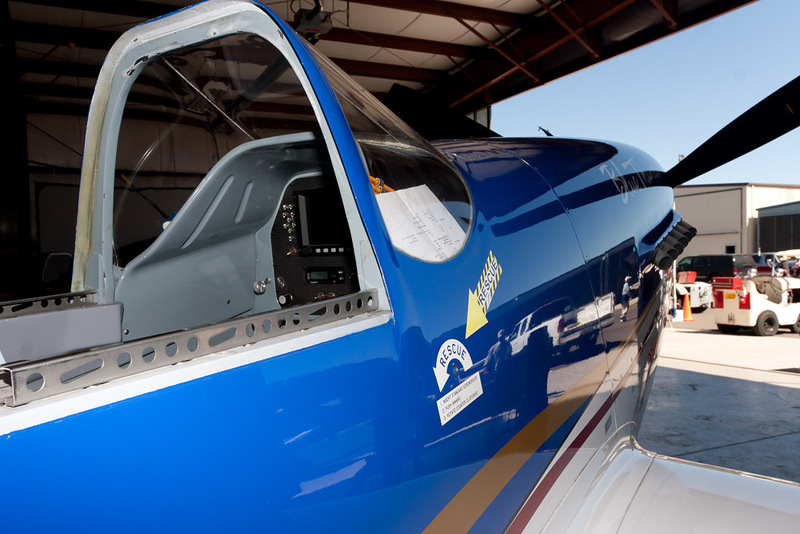 Dean has been involved in aviation since 1968 and operates a successful FBO out of Skagit Regional Airport (BVS), Washington. 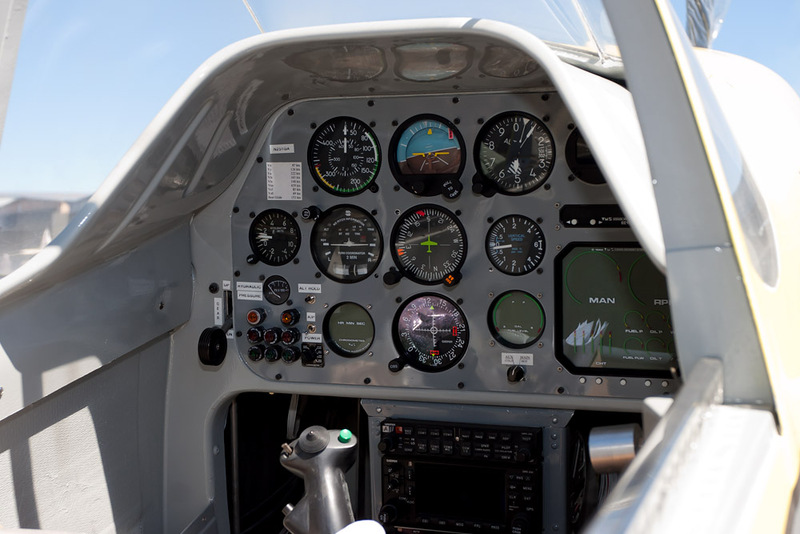 Dean has extensive experience as a pilot, including corporate and airline flying. 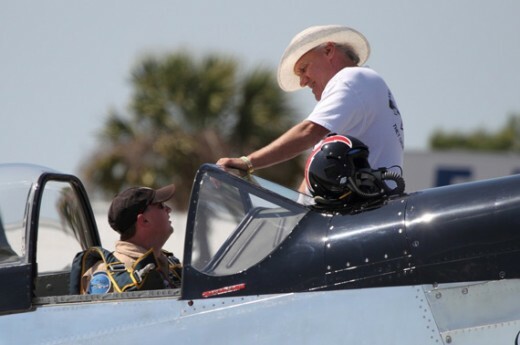 Dean’s interest in the Thunder Mustang began in 1997 when Dan Denney was looking for investors in Papa 51, Ltd. Although he did not make an investment at that time, Dean has continued to follow the development of the Thunder Mustang. 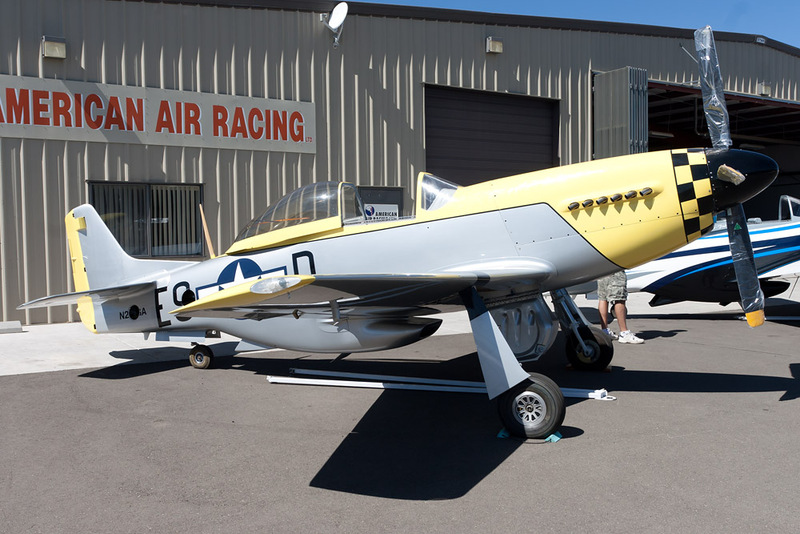 Thunder Mustangs have been regular competitors at the Reno Air Races over the past 10 years. 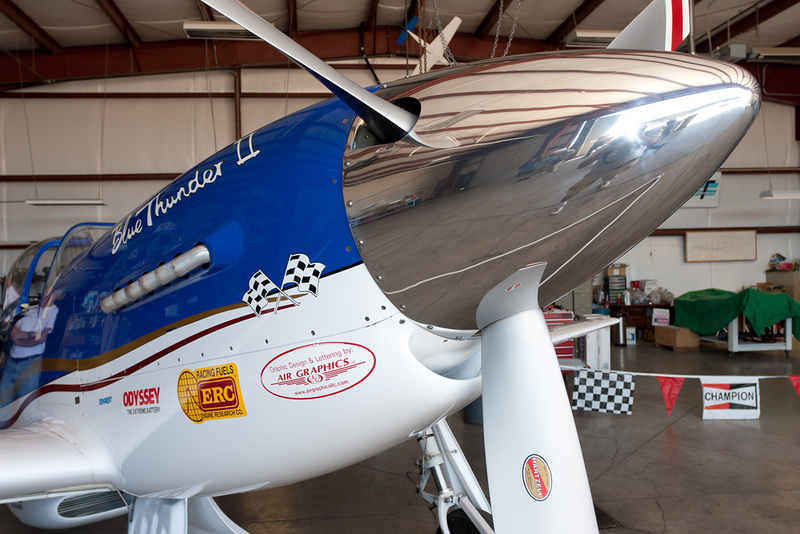 This year, two Thunder Mustangs are competing in the Super Sport Class and are approaching speeds of 400 mph. 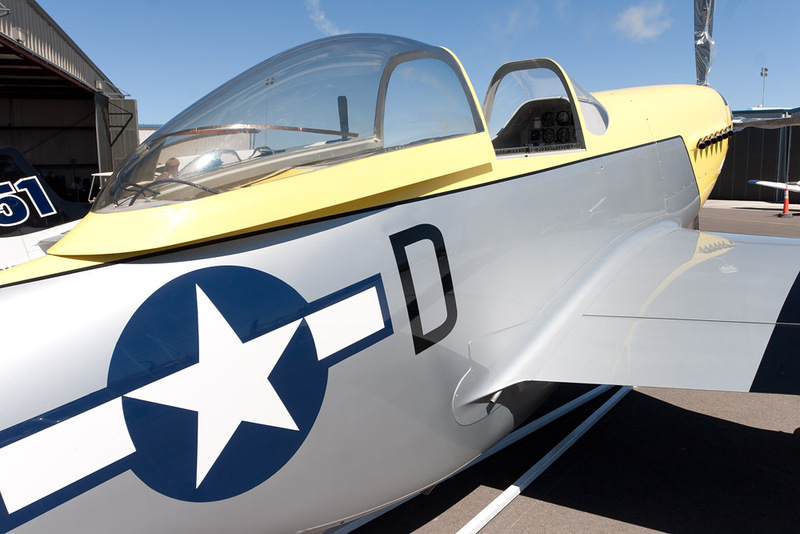 Email inquiries should be sent to sales@thundermustang.com., or call Dean Holt at 360-202-6271. Length: 24.2 ft. 32.2 ft. Frontal area: 8.1 sq. ft. 13.4 sq. 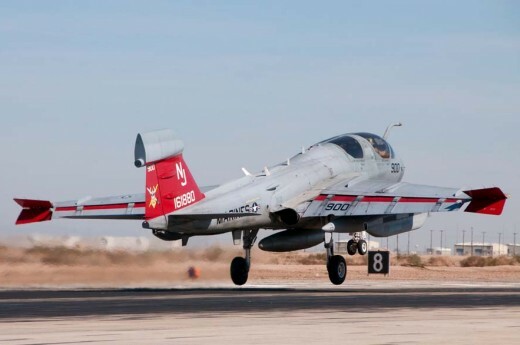 ft.
Wing Span: 23.8 ft. 37.0 ft.
Wing area: 104 sq. ft. 235.75 sq. ft.
Wing Loading: 28.84 lbs./sq. ft. 49.2 lbs./sq. ft. Gross Weight: 3,200 lbs. 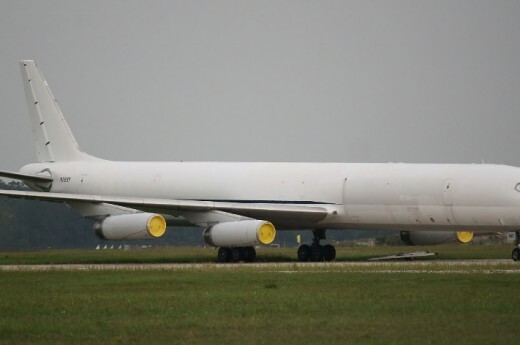 11,600 lbs. Empty Weight: 2,200 lbs. 7,635 lbs. Useful Load: 1,000 lbs. 3,965 lbs. Payload with full fuel: 400 lbs. 2,885 lbs. Range: 1300 naut. mi. 700 naut. mi. 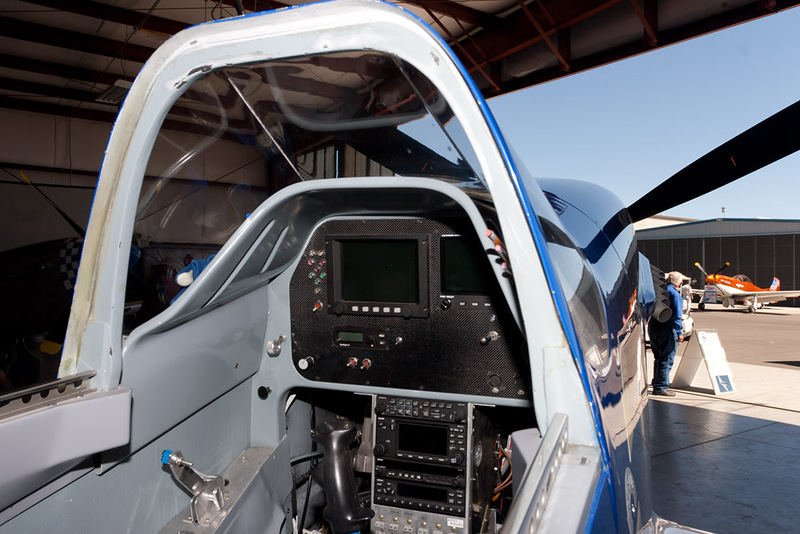 Service Ceiling: 25,000 ft. 46,000 ft.
Ryan Falconer’s history in engine development began while working for Andy Granatelli building the Novi engines for the Indy 500. For the past 29 years his company has built engines for numerous racing teams that have won the Indy 500 and other prestigious races. 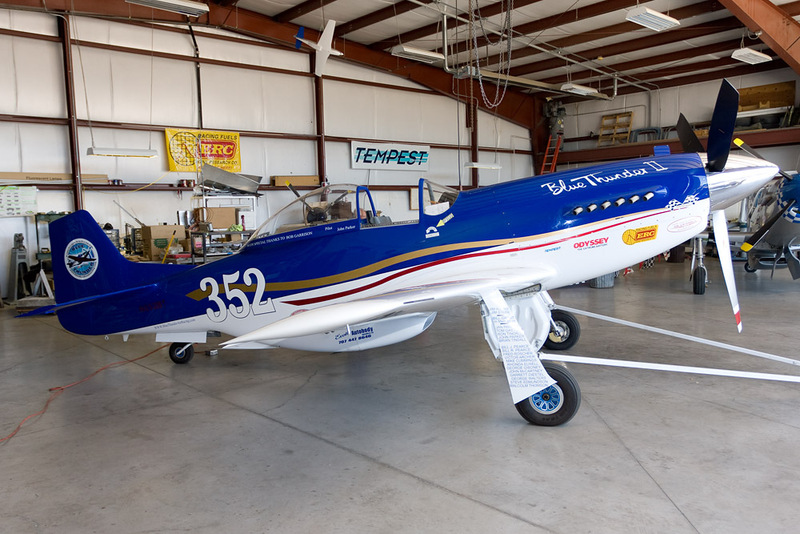 Roger Penske, Andy Granatelli, and Galles Racing have also been among his Indy customers. In 1973 Ryan began development work for Chevrolet. He has supplied engines to many of the top racing teams in Can-Am and Trans-Am. In 1980 Ryan was asked by Chevrolet to develop the first V-6 Chevrolet Indy engine, which qualified and completed the 500. In 1984 development began on the Chevrolet GTP Corvette which gained considerable notoriety. At the completion of the V-6 GTP project, he was developing over 1200 HP from the 3.0 liter V-6 engine. It was during this time that Ryan decided to look at build a V-12 engine. 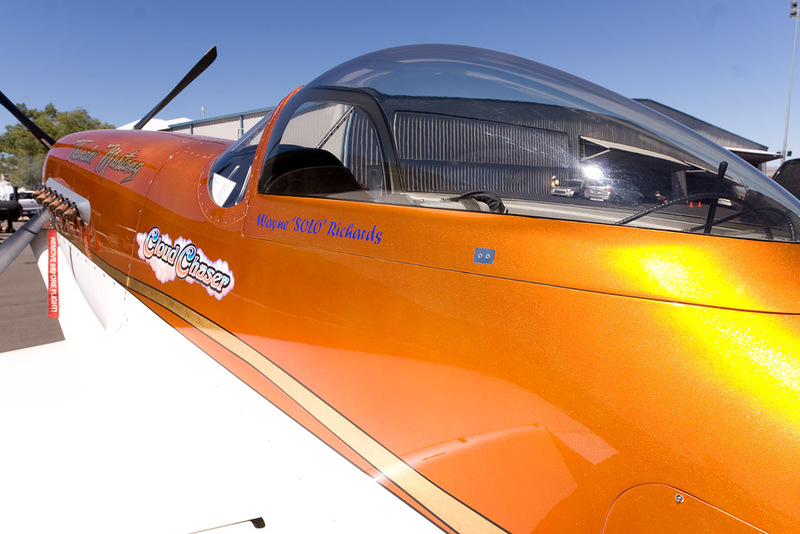 The Falconer V-12 engine was developed by Ryan Falconer Industries (RFI). 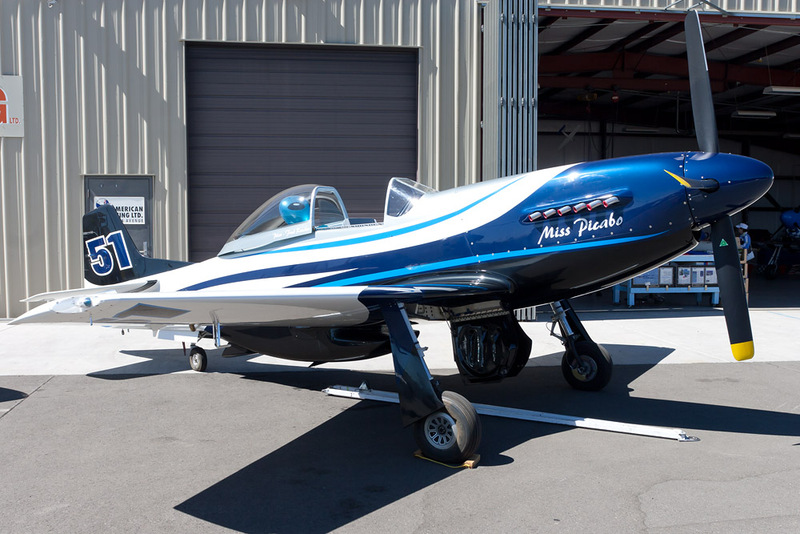 The engine has been used in racing boats, specialty race and streetcars, trucks, airboats, and now airplanes. This engine incorporates the latest splayed-valve cylinder head technology and the highest quality internal components developed for racing, such as Carrillo rods and J.E. hypereutectic pistons. 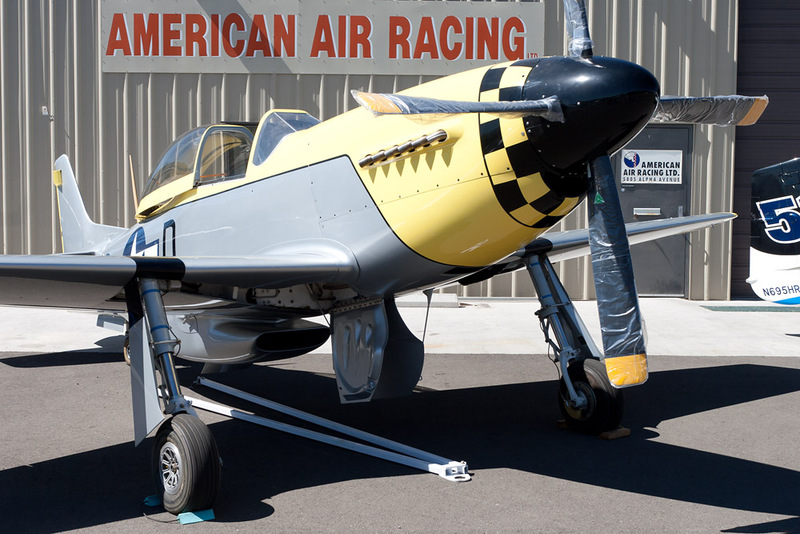 The Falconer V-12 airplane engine was developed by RFI especially for the Thunder Mustang with specific unique features which include: special long-runner, electronic, sequential, tuned-port injection system with end-entry plenums for narrow width; 10.9 to 1 compression ratio, special grind hydraulic roller cam for low rpm horsepower and torque, and additional bosses on the drive end of the crankcase to provide greater clamp up area for the gearbox. 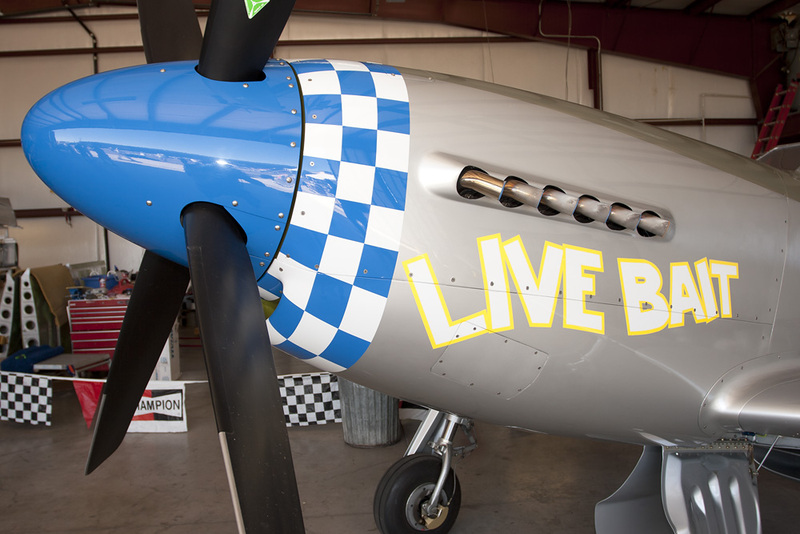 It is interesting to note that the exhaust port spacing is almost exactly 3/4 of the Rolls Royce Merlin which powers the North American Aviation P-51.